My days are spent now doing the school run, trying to keep on top of the leaves in the garden, getting our final spring bulbs in as well as writing and working on some very exciting products for the future. With the weather getting colder my normal salad’s and sandwiches for lunch are cooling me down to much so I’m bring out the winter comfort food and getting warm. 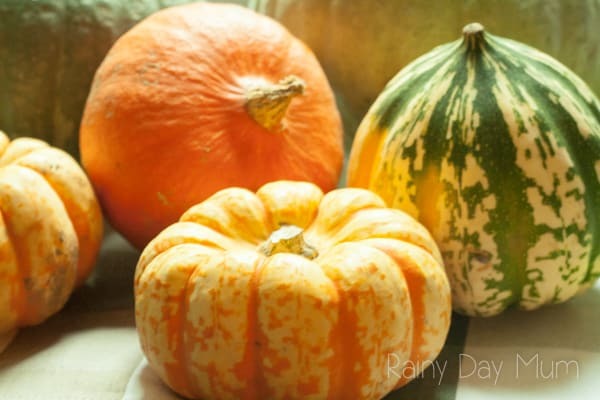 One of the things that I really want to grow in my garden is squash – it’s such a filling food and I love the taste of it but we had a complete disaster this year even the pumpkins that we started off failed (was too dry whilst we were away in the summer!) so getting a squash box from Riverford Organic Food was ideal. 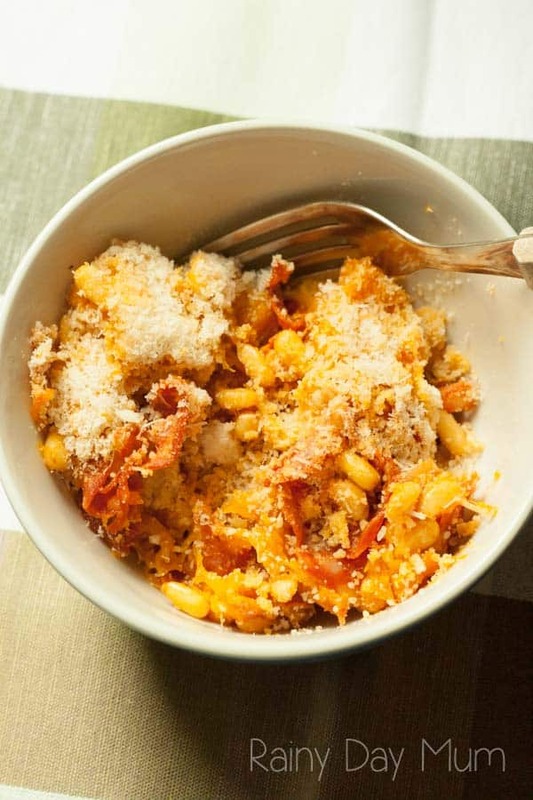 Today’s recipe is a simple Spaghetti Squash Recipe which is ideal for some lunch time comfort food. I’ve never used Spaghetti Squash before so hunted through my recipe books to find out what to do with it. My Great-Grandmothers book from the 1930’s came up trumps with a roasting method that was so easy to do. 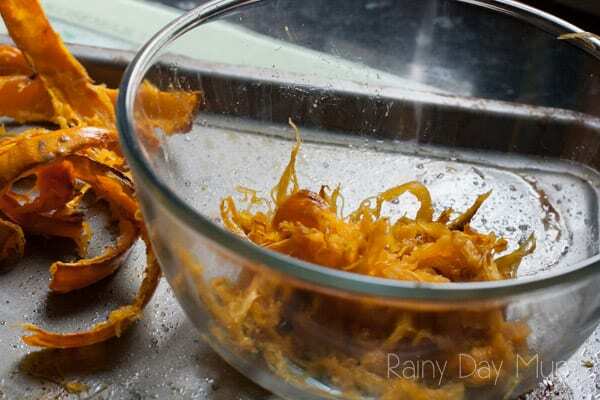 Pre-heat the oven to 200C Cut the top and bottom off the spaghetti squash and add to the compost pile Then chop the squash into about 2 – 3 cm slices. 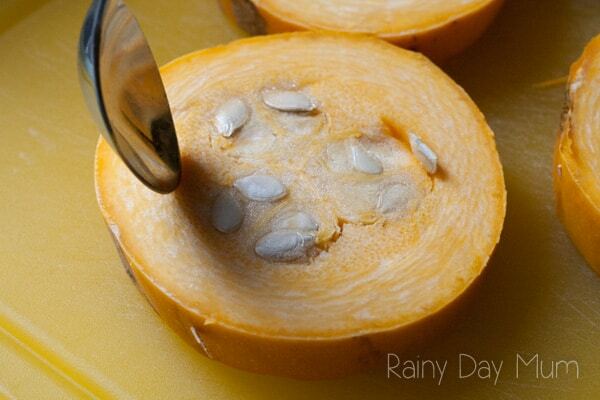 Using a spoon scoop out the insides (I put this aside to collect the seeds from for growing next year) Onto a baking tray drizzle olive oil and place your rings of Spaghetti Squash Turn these over so you have a light coating off oil and sprinkle with salt and pepper Turn them back over and sprinkle again with salt and pepper Place in the oven for 30 minutes When they are cooked take them out and let them cool. Once cool you will be able to remove the skin and pull apart the spaghetti like strands from the flesh. In a pan heat up a small amount of Olive Oil tear up some slices of Chorizo into smaller parts and add a handful of pine nuts. 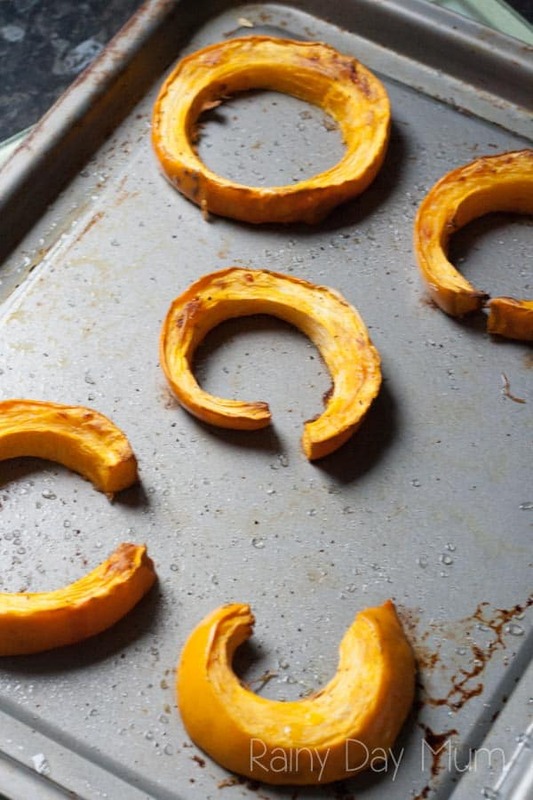 Gently toss in the oil until they are heating up. 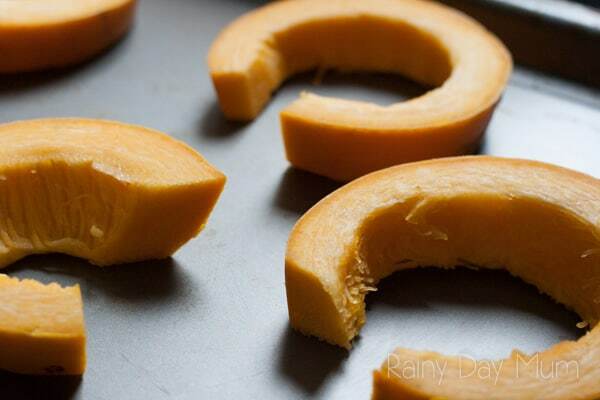 Then add the squash to the pan. Mix it all together to warm. 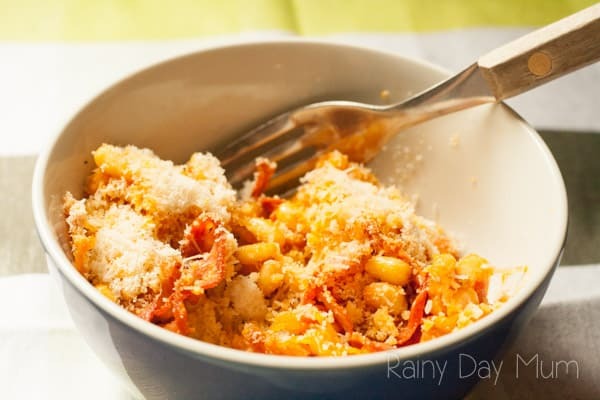 Pour into a bowl and add some parmesan cheese to your taste and enjoy. Riverford Organic Food is a supplier of organic vegetable boxes and fruit as well as organic grocery products. With the option of setting up a weekly SEASONAL vegetable box order as well as adding one off you know that the food is fresh, in season and with farms located around the country the miles travelled is minimal. Our Squash box came from within the region and arrived Fresh – as we weren’t in was left in a designated place and came with full instructions and more recipes are available on the website. Unlike many supermarkets the vegetables that will come in the box aren’t selected out because they are uniform they are as if they have come from the ground – after the shocking figures on the War on Waste programme last week on the BBC this is becoming especially important to us as a family and one of the reasons that we are busy working on our garden getting it ready to produce food for the new year. 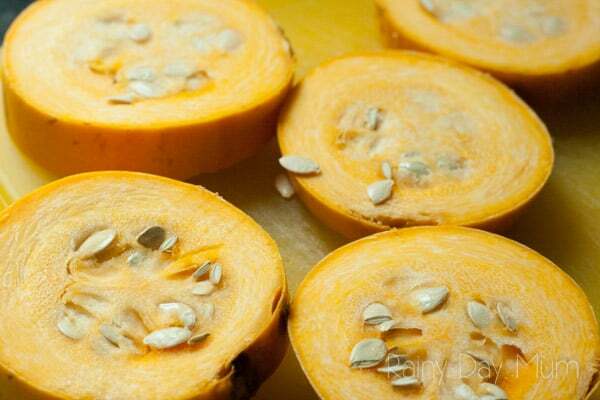 We were provided with a sample box of squash to create a recipe.